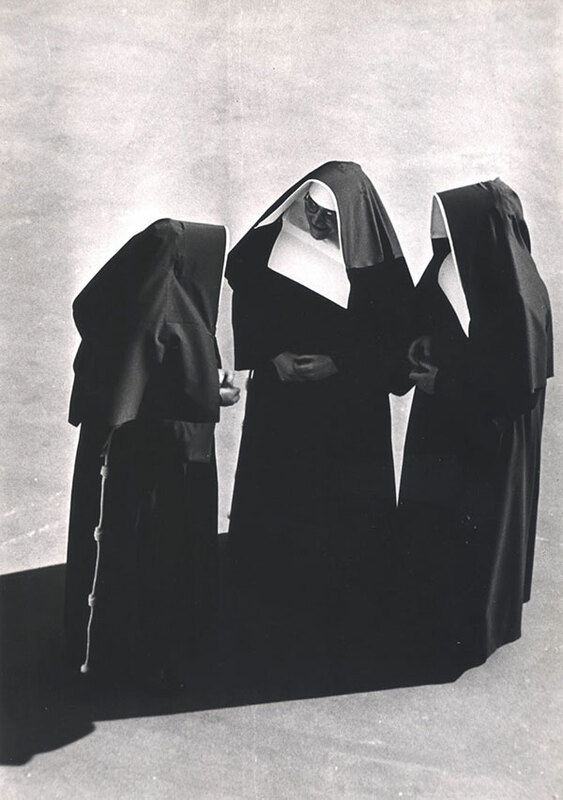 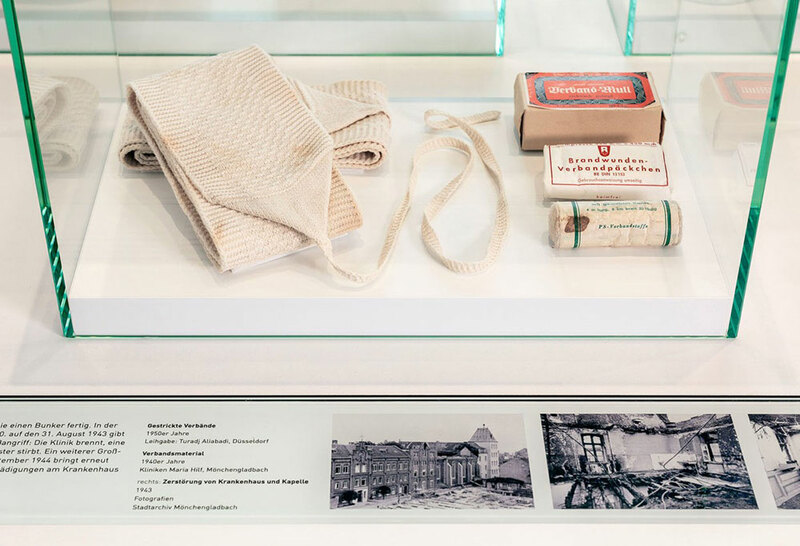 The Kitzig Identities team conceived an exhibition design based on the exhibition title « Berührend » (touching), which highlights the exhibits in the form of historical photographs and objects. 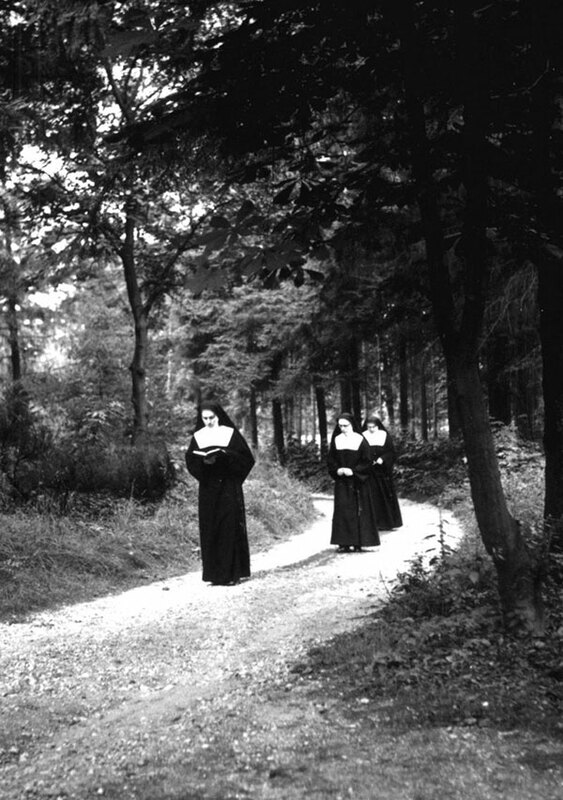 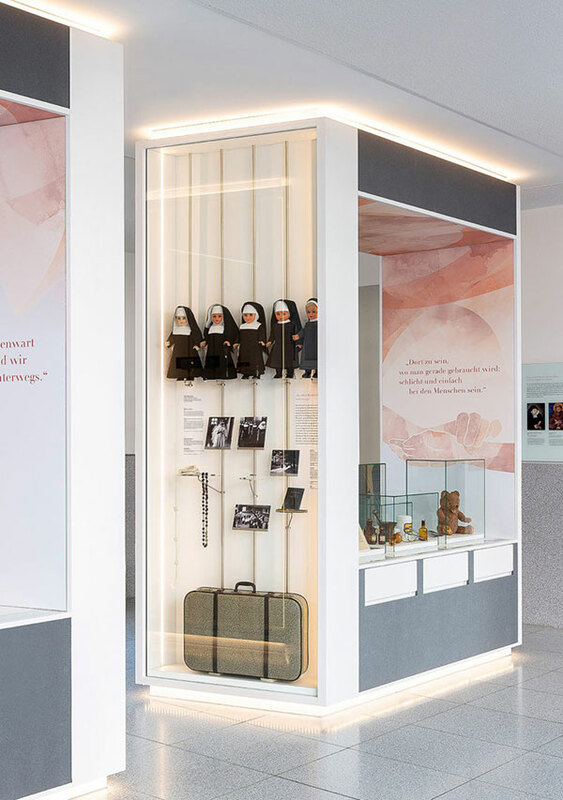 Delicate pastel shades combined with modern, minimalistic glass cubes characterise the design and communicate the missionary work of the Franciscan nuns to visitors. 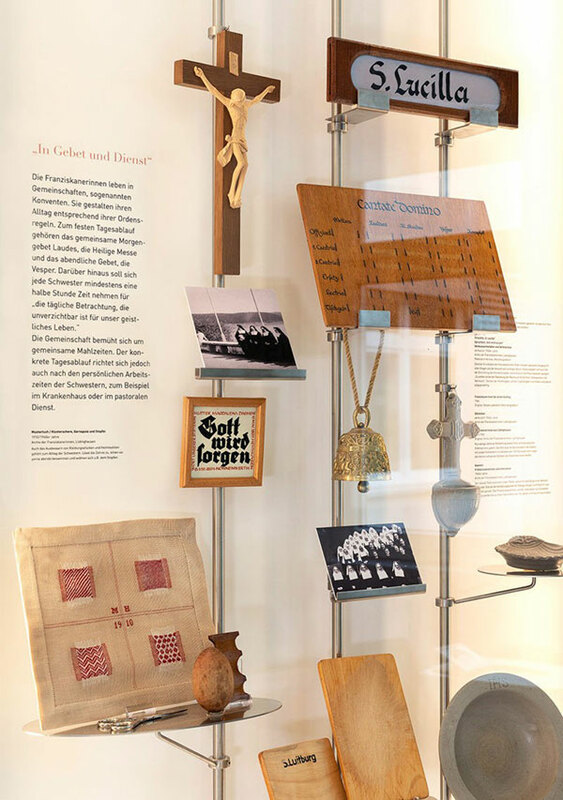 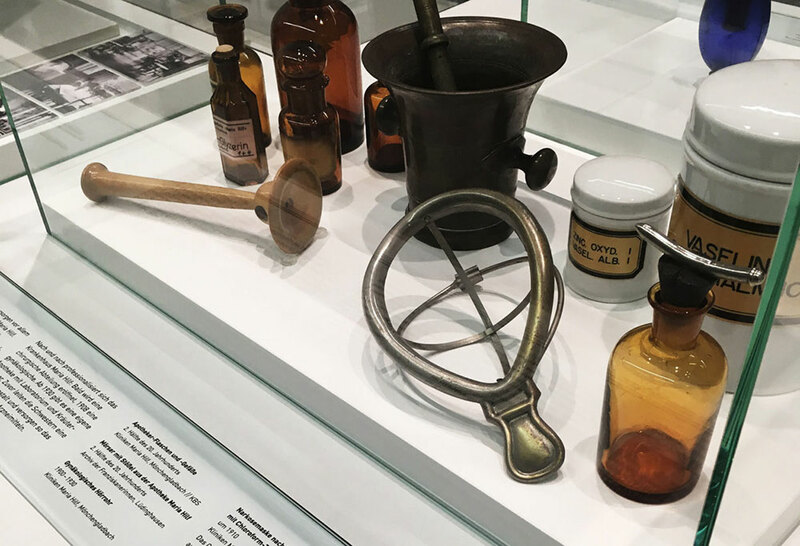 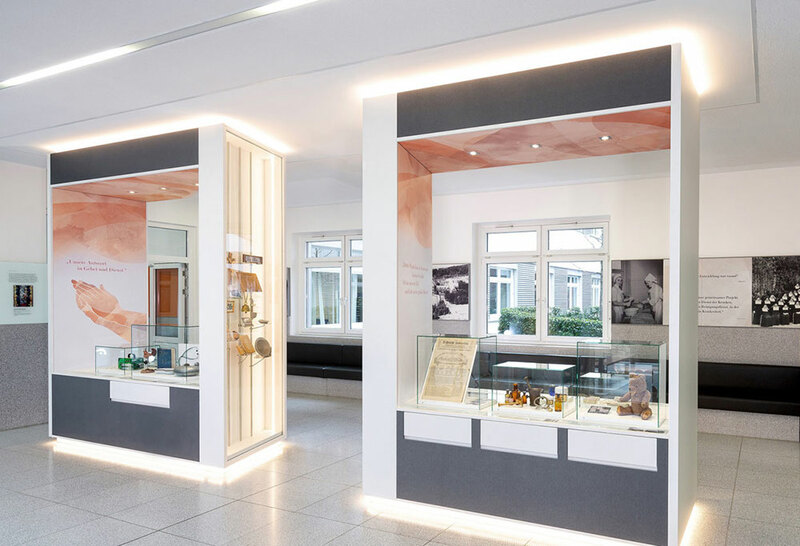 The permanent exhibition features over 100 historical exhibits on an area of approximately 50 sqm and can be admired by staff, patients and their relatives in the entrance hall of the hospital.